Affordable Gutters Plus, LLC is the group to call for your quality rain gutter installation needs in Emerson, GA. Your house gets the quality rain gutter installation it needs with our total gutter and roofing services. To help you rest easy, we strive to supply you with rain gutter installations that will last you as long as you own your home. Workmanship and customer service are put first by our skilled, licensed contractors every time. We are always accessible to answer your rain gutter installation queries or aid you get an evaluation. 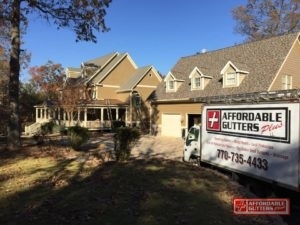 Contact Affordable Gutters Plus, LLC today at 770-735-4433 for your rain gutter installation in Emerson, GA.
All your required home services are available in Emerson, GA from Affordable Gutters Plus, LLC. Our contractors are Get all of your roofing, flashing, and rain gutter installation needs completed in one place. Leaf Guard Gutters: Install leaf guard gutters for your home today! Metal Roofing: For the highest quality defense and energy efficiency around, consider a metal roof for your home. Roof Drainage Repair: Ensure your system functions perfectly with roofing drainage repair and replacement. 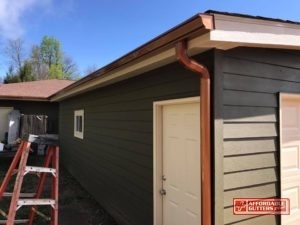 Seamless Rain Gutters: With the best installation from Affordable Gutters Plus, LLC, you get a gutter that provides your house with safeguards without the worry of seam cracks. Squirrel Deterrent Flashing: Keep your house safe against rodents when you choose to install squirrel deterrent flashing. Your home receives all of these services and many more. Storms, hail and winds are prevented from damaging your home by your roofing system. Installing a quality gutter system can shield your roof from unforseen damage caused by water, improving its defense. 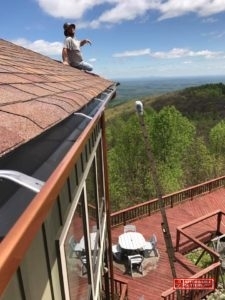 Contact us at 770-735-4433 today to get started on your rain gutter installation in Emerson, GA.
With the big investment it is to own a house, you think that your family will be capable of enjoy it for a lifetime. Whether you require a rain gutter installation or a full roofing installation, Affordable Gutters Plus, LLC installs systems created to supply you with highest quality and last you as long as you possess the home. Our contractors are licensed experts who work with you to make sure you get exactly what your home needs. Your roof or rain gutter installation service gets the best customer service and craftsmanship around. Give Affordable Gutters Plus, LLC a call today to speak with a professional about beginning your rain gutter installation: 770-735-4433.